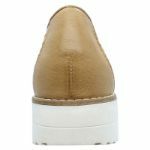 Fabulous flatforms are the perfect way to add height to your outfit without having to wear heels. 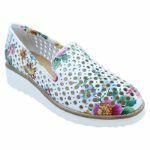 Osta offers all the comfort of flats with a modern and stylish twist. You’ll love the lazer cut polka dot leather upper, perfect for helping your feet to breathe. And the classic loafer shape is so versatile that it means you can wear Osta anywhere. They’re the ideal investment shoe. All you have to do is decide which colour you like best!